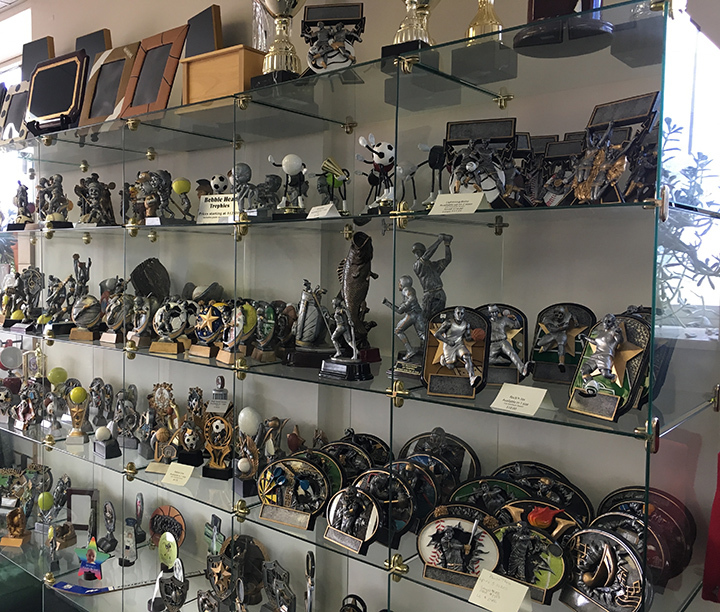 Need an award, plaque or trophy? Click on the catalog image below and let us know what you are interested in purchasing. Don't see anything that peaks your interest? Stop in to our showroom and see samples from other suppliers. Several items to choose from! We can customize items for any occasion.